We bring together participants from different sectors to share new ways to eliminate poverty. Cerrito Forum is an international event that provides a space for participants to exchange innovative strategies and solutions to tackle poverty. 1. Share new ways to eliminate poverty that are sustainable, scalable, and replicable. By providing a platform that gathers people with a common vision, Cerrito Forum unlocks the otential of in-person dialogue. Participants will have the opportunity to share effective solutions and lessons learned in their efforts to eliminate poverty, stimulating conversations that will lead to real actions. 2. Build a global community on poverty elimination. Cerrito brings together change makers from across sectors and regions who are actively advocating for a change in development thinking. When unexpected connections are created, ideas can grow and transform into integrated solutions. As we address this global problem, let’s start with deepening our connections in order to better leverage available resources. Cerrito Forum sparks the conversation around innovative approaches to eliminating multidimensional poverty. Here you can share your experiences implementing new solutions and learn from other participants, enriching the way in which we all understand, approach, and tackle poverty. Here you can discover what other countries and sectors are doing to tackle poverty, what social and technological advances are being developed and implemented, and how other organizations can help you to lead the change in your community. By providing spaces for learning and collaboration, you are encouraged to bring your challenges into the conversation and exchange experiences with other participants in order to provide alternative solutions. You can also help others overcome their challenges. The event will be held at Cerrito Agricultural School, a financially self-sufficient institute. 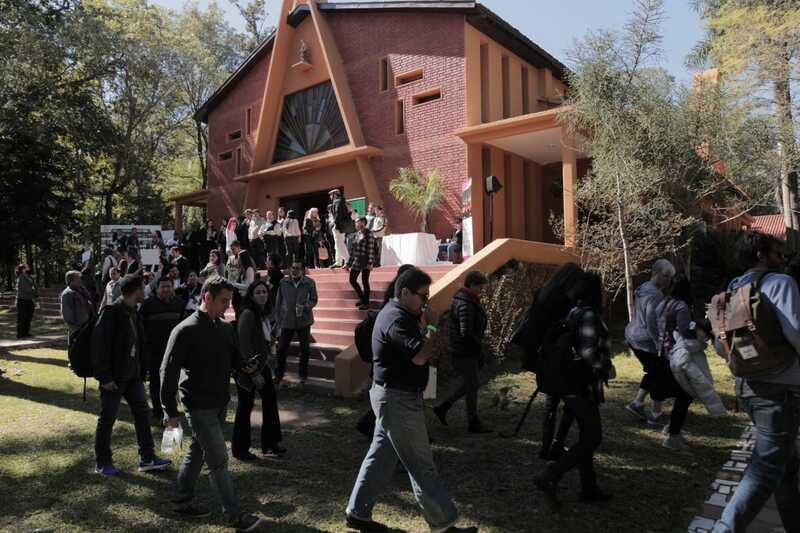 Only 40 minutes outside Asunción, the school offers lodging through one of its didactic productive enterprises: the Cerrito Hotel, which is located on campus. Cerrito Hotel is a unique tourist destination in the Paraguayan Chaco that offers an ideal setting for guests who want to enjoy nature in a rural setting without neglecting comfort. It offers exquisite and varied catering services produced by the students on campus with organic ingredients. Guests can enjoy rest and meditation areas, a swimming pool, barbecue areas, traditional Paraguayan hammocks under the shade of leafy trees and a children's playground. At Cerrito Forum, you will share ideas, challenges, and solutions for poverty elimination with participants from different sectors. By being part of this collaborative network, you can construct and design strategies that will help you lead the change in your community. Carried out in Cerrito Agricultural High School, you will learn about the self-sufficient model that promotes the “learn by doing, selling, and earning” methodology. Developed to address poverty at an early age, the school provides students with the necessary tools to create their own agricultural business or compete successfully in the job market. If you are interested in eliminating poverty through education, you will be able to examine how this self-sufficient school trains its students to lift themselves and their families out of poverty. You will also experience the Poverty Stoplight’s Cerrito Initiative. This project seeks to eliminate multidimensional poverty in a poor, primarily indigenous community over a three-year period. The Cerrito Initiative works by activating the entrepreneurial potential of 1,000 families and empowering them to end their own poverty. By visiting the community, you will be able to learn more about the history, culture and language of the QOM people, and understand how the Cerrito Initiative is impacting their lives. Join us at the Cerrito Forum! Paraguay is located in the heart of South America. It currently has a population of almost seven million people, most of them young and living mainly in the eastern region. Our climate is tropical to subtropical with an average temperature of 25º to 35º Celsius in summer and 10º to 20º Celsius in winter. We have two official languages, Spanish and Guaraní. The latter is the first indigenous language in South America to reach the status of official language. The mixture of indigenous communities, along with the prevalence of the Guaraní language, and the presence of immigrants from various countries of the world creates an extraordinary wealth in cultural practices. This is reflected in Paraguayan crafts and gastronomy, for example, as well as traditional celebrations, such as dance and folk music. Paraguay has been consistently ranked as one of the happiest countries in the world by the Gallup consultancy. We challenge you to discover why!